I’m sure I’m not the only one out there, but I love knitting cables. To be honest, cables were the thing that made me want to learn to knit! This post contains affiliate links. The yarn for the sample was generously provided by King Cole. Back in 2013, the Checkerboard Cable Scarf was first published in Love of Knitting. Here’s how it looked on the magazine’s model. Image (c) Love of Knitting. You may remember this yarn because I also used it in one of my free crochet patterns, Tadley’s Diagonal Blanket. Tadley’s Diagonal Blanket, a free crochet pattern. Since then, I’ve started adding free knitting patterns here on Underground Crafter, so I decided to share the Checkerboard Cable Scarf with you today. This is a great unisex project and a relatively quick knit because you work it holding two strands of yarn together. …and while holding two strands of yarn together. You can get more detail by holding two strands of the same color together, and more of a tweedy appearance by holding one strand each of two contrasting colors together. You could also use just one strand of a heavier yarn (perhaps a bulky or super bulky yarn), but I don’t know how much yardage you would need. As always, I turned to Scarves.Com for styling advice. Here’s the scarf in what they call “The NYC.” You can find the 6-step tutorial for wearing your long scarf as The NYC here. And here it is in what they call “The Knotty,” which is a 4-step tutorial here. Knit with two strands of yarn held together, this unisex, chunky cable scarf is sized for both children and adults. Child (Adult): 4.5” (7”)/11.5 cm (17.75 cm) wide x 47” (60”)/119 cm (152.5 cm) long. King Cole Merino Blend Aran (100% superwash wool, 1.75 oz/50 g, 88 yd/80 m) – 3 (4) skeins each in 776 Aran and 778 Denim, or approximately 264 yd/240 m (352 yd/320 m) in each of two colors in any medium weight yarn. US Size 13/9 mm straight needles, or any size needed to obtain correct gauge. 14 sts x 20 row in pattern = 4” (10 cm). Exact gauge is not critical for this pattern. Scarf is knit holding two strands of yarn together throughout. Use two strands of the same color to let the stitch pattern shine. For a tweedy look, use contrasting colors. Holding one strand of each yarn together throughout, CO 16 (24) sts. Row 1: (RS) K2, *p4, k4; rep from * across to last 6 sts, p4, k2. Row 2: K6, *p4, k4; rep from * across to last 2 sts, k2. Rows 3 & 4: Rep Rows 1 & 2. Row 5: K2, *p4, C4F; rep from * across to last 6 sts, p4, k2. Rows 7 & 8: Rep Rows 1 & 2. Rows 10 & 11: Rep Rows 1 & 2. Row 12: Rep Row 1. Row 13: K2, *C4F, p4; rep from * across to last 6 sts, C4F, k2. Rows 14 & 15: Rep Rows 1 & 2. Continue repeating Rows 1-16, 12 (16) more times, or until scarf measures approximately 44”/111.75 cm (57”/144.75 cm), ending after Row 16. Rep Border Rows 1-4 once. © 2013, 2015 by Marie Segares (Underground Crafter). This pattern is for personal use only. You may use the pattern to make unlimited items for yourself, for charity, or to give as gifts. You may sell items you personally make by hand from this pattern. Do not violate Marie’s copyright by distributing this pattern or the photos in any form, including but not limited to scanning, photocopying, emailing, or posting on a website or internet discussion group. If you want to share the pattern, point your friends to this link: http://undergroundcrafter.com/blog/2015/08/13/free-knitting-pattern-checkerboard-cable-scarf/. Thanks for supporting indie designers! 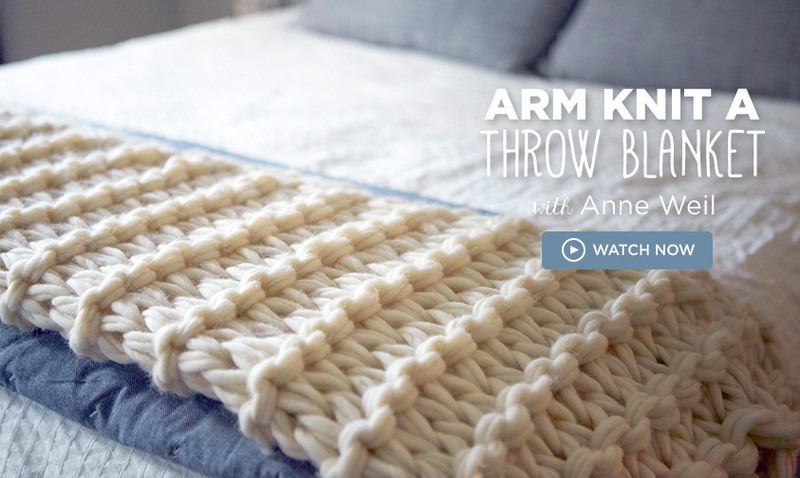 I’m excited to share my first free knitting pattern on the blog today! Back in September, 2014, my knit Cupcake Hat was first published in the Holiday, 2014 issue of Love of Knitting. This hat makes a great gift for a special girl. Image (c) Love of Knitting. This post contains affiliate links. Yarn for this sample was generously provided by Skacel Collection. This pattern is a great introduction to knitting bobbles. The hat is knit flat and then seamed, so you only have to worry about the increases and decreases that create the bobbles and the shaping. If you make one, please share a picture on Ravelry or Facebook. This bobbled hat with stretchy ribbing makes a perfect gift for a special little girl! HiKoo by Skacel Collection Simpliworsted (55% Merino wool/28% acrylic/17% nylon, 3.5 oz/100 g, 140 yd/128 m) – 1 skein ea in 035 Turkish Coffee (CA) and 015 Ripe Raspberry (CB), or approximately 140 yd (128 m) in ea of 2 colors in any medium weight yarn. US 7/4.5 mm knitting needles , or any size needed to obtain gauge. 26 sts in ribbing pattern = 4” (10 cm) when gently stretched. For best fit, always check your gauge. bob – bobble – (K1, p1, k1) in same st.
Hat is knit flat from brim to crown and then seamed. With CA, CO 82 (94, 106) sts. Row 1: Sl 1, *k2, p2; rep from * to last st, p1. Rep Row 1 until ribbing measures approximately 3”, fasten off CA with long yarn tail for seaming. Row 2: (WS) With CB, p across. Row 3: (RS): Sl 1, p across. Row 4: Sl 1, *bob in next st, p3tog; rep from * across to last st, p1. Row 6: Sl 1, *p3tog, bob; rep from * across to last st, p1. Rep Rows 4-7 until hat measures approximately 4” (5”, 6”), ending after Row 7. Row 11: Rep Row 3. Newborn and infant sizes only: Rep Row 10 (12, 14 sts). Row 19: Sl 1, *p2tog across to last st, p1. (7, 8, 9 sts) Fasten off CB with long yarn tail for seaming. With WS facing, with CB in yarn needle, weave through sts on needle to close top of hat. Line up rows and use CB to join with mattress st until end of cupcake crown. With CA in yarn needle, line up rows and use CA to join ribbing with mattress st. Weave ends inside of hat. © 2014, 2015 by Marie Segares (Underground Crafter). This pattern is for personal use only. You may use the pattern to make unlimited items for yourself, for charity, or to give as gifts. You may sell items you personally make by hand from this pattern. Do not violate Marie’s copyright by distributing this pattern or the photos in any form, including but not limited to scanning, photocopying, emailing, or posting on a website or internet discussion group. If you want to share the pattern, point your friends to this link: http://undergroundcrafter.com/blog/2015/04/28/free-knitting-pattern-cupcake-hat. Thanks for supporting indie designers!